Aaron Kunin thanked me for the rats when he signed my copy of his book, Folding Ruler Star. 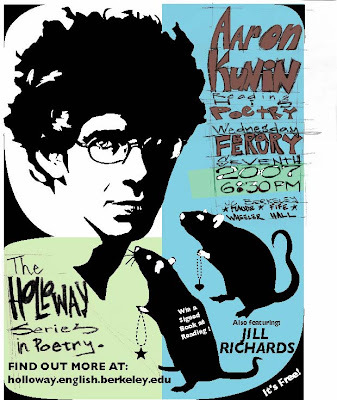 This was for his reading with the Holloway Series in Poetry. Most of the grunge text is by hand, and the rest is Illustrator.